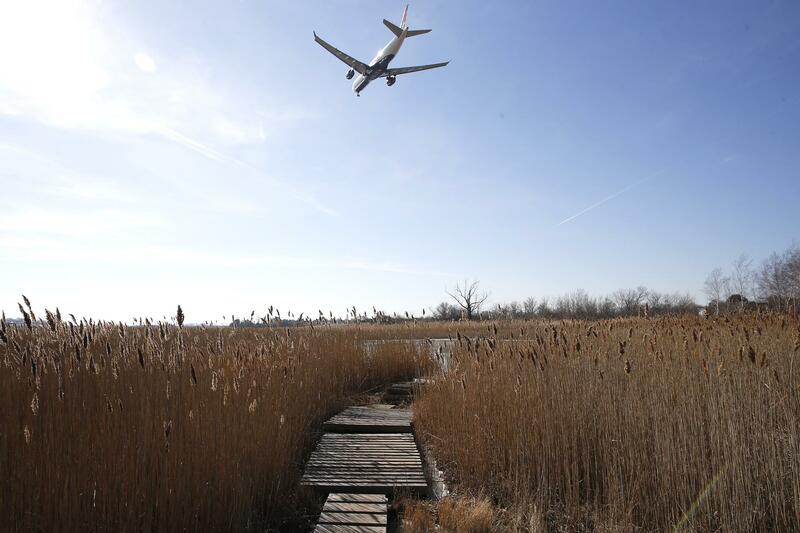 Planes frequent the skies over Belle Isle Marsh in East Boston. They are vestiges of greenery and wildlife in Boston: the salt marsh of Belle Isle, the patches of land that foster diverse plant and animal species off Weld Street in Roslindale, the dots that enliven the Emerald Necklace running from Dorchester to the Fens. Boston has wetlands areas scattered across the city that have long been cherished for their beauty and environmental benefits. But environmental advocates say the city has few tools to protect these spaces from climate change and the secondary effects of development, such as shifts in flood patterns; the city is one of only three along the Massachusetts coastline that does not have local laws protecting wetlands. 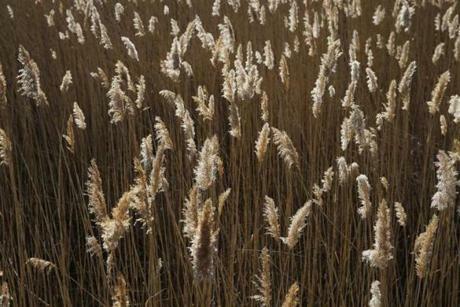 Now, a movement is afoot in Boston to enact a local Wetlands Protection Act, part of the city’s overall efforts to combat the effects of climate change. The act would give the Boston Conservation Commission more power to protect wetlands in reviewing proposed development, such as by building with green infrastructure, and would allow the commission to designate sites as “Areas of Critical Environmental Concern,” which would warrant stronger protections. The proposed ordinance, filed in late January, has garnered support from a majority of City Council members, and Mayor Martin J. Walsh’s administration confirmed they are considering it. The intensified interest comes amid a series of recent reports that listed the protection of the city’s parks and open spaces, particularly its wetlands, as a central strategy in climate resiliency and in helping the city reduce carbon emissions. Houses are seen from Belle Isle Marsh. O’Malley called the ordinance necessary to address a construction boom that contributes to climate change, with a report showing that buildings are the “biggest culprit” of carbon gas emissions. 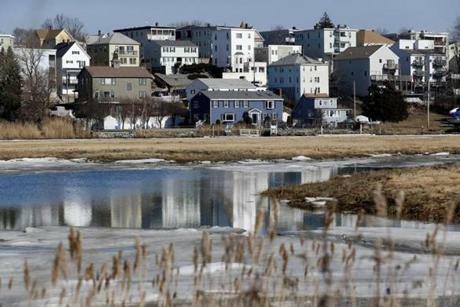 Chris Cook, the city’s chief of environment and open space, said in an interview that the Walsh administration would welcome reforms, pointing out that a city-commissioned 2016 Climate Ready Boston plan highlighted the need to protect the city’s wetlands. Though officials have discussed wetlands protections for several years, the councilors’ proposed ordinance would be the first to codify the protections. Boston has wetlands areas scattered across the city that have long been cherished for their beauty and environmental benefits. Cook said the administration would look to partner the proposal with a separate flood plan review that is being conducted by the Boston Planning and Development Agency. Those reviews, he said, would have to account for the economic impacts on developers and homeowners, though he said those impacts would be offset by the environmental benefits. “We really see this as an opportunity to adjust and address some of the rules and regulations that are both challenges and opportunities for implementation of our Resilient Boston Harbor plan,” Cook said. Wetlands are distinct forest or wooded areas that are saturated by water and nurture aquatic plants and wildlife specific to that type of ecosystem. The saturation of the land could fluctuate by season. Beyond the preservation of green space, wetlands can have broader benefits and can control flooding and prevent storm-water damage, filter pollutants, recharge water supplies, and protect ground water and certain fisheries and habitats. The Boston Conservation Commission has jurisdiction of 6.9 square miles of land, though that could expand under the ordinance. The patches are scattered across the city, from the beaches along Moakley Park in South Boston to the shores of the Neponset River in Dorchester, and the marshes in Mattahunt Woods in Mattapan. Environmental advocates say that wetlands’ importance is often overlooked in dense urban settings such as Boston, but they will play a greater role in the city’s resiliency efforts as Boston prepares for climate change and the expected sea level rises that come with it. That includes both coastal and inland flooding, said Joe Orfant, an environmental consultant and the former chair of the Boston Conservation Commission, who supports greater protection measures. The more damage to and loss of neighborhood wetlands — a result of overdevelopment — the greater the flooding, Orfant said. The only other two communities in Eastern Massachusetts without a wetlands ordinance are Chelsea and Fall River. The Massachusetts Wetlands Protection Act provides for some protections, he said, though he added that communities should have their own guidelines that would empower local conservation commissions to address specific needs. Federal laws also have a role.